As always, Week 14 presents some interesting matchups in the NFL, particularly when it comes to coaches going up against each other. 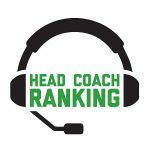 Each week, Head Coach Ranking presents its exclusive Head 2 Head numbers – comparing the rankings of the coaches that are facing off. • There are two games this week that feature two coaches in the Head Coach Ranking top 10, and it’s no surprise that they are two the week’s marquee matchups. The first is Baltimore at Kansas City. Ravens head coach John Harbaugh is tied for fifth with an HCR score of 7.7. The Chiefs’ Andy Reid is third overall at 8.0. The second is the Los Angeles Rams at Chicago. Rams head coach Sean McVay is second overall with an HCR grade of 8.1. 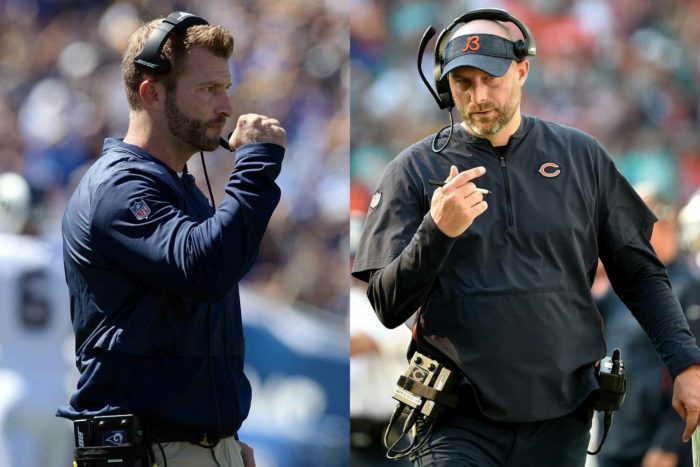 The Bears’ Matt Nagy is tied with Harbaugh for fifth at 7.7. The McVay-Nagy meeting is particularly intriguing, as both are considered offensive gurus. McVay’s challenge is to keep the highest-scoring offense in rhythm against Khalil Mack and a bruising Bears defense. Nagy, meanwhile, needs to figure out a way for backup QB Chase Daniel to avoid Aaron Donald and put up enough points to hang with the Rams. • Joe Philbin makes his head coaching debut for the Green Bay Packers on Sunday, playing host to Dan Quinn and the Atlanta Falcons. Philbin last head coaching experience was with the Miami Dolphins, where he had a career record of 24-28 in three-plus seasons (2012-15). • Seven games in Week 14 are divisional matchups: Jaguars-Titans, Colts-Texans, Patriots-Dolphins, Giants-Redskins, Saints-Buccaneers, Jets-Bills, and Eagles-Cowboys.